​Have a surface that needs old paint stripped off? Or your just having trouble with rust? No more! With our dustless blasting technique we have got the fix you need. 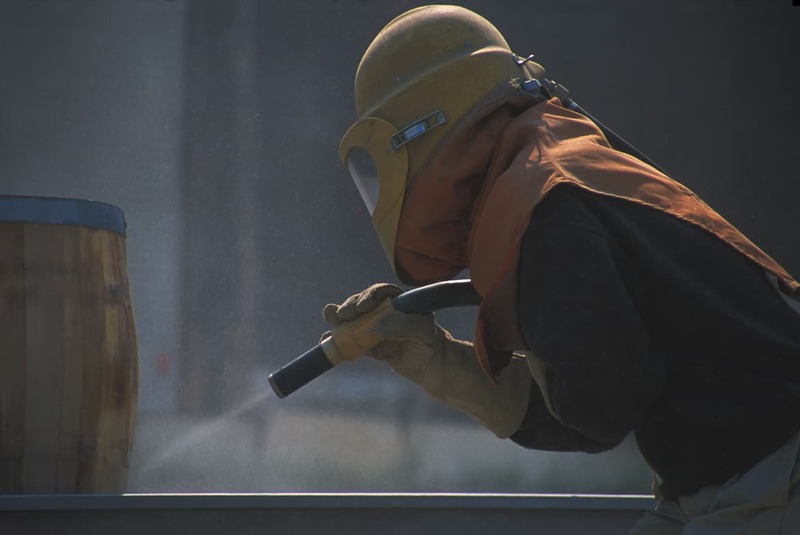 For starters, you should understand what Dustless blasting is. 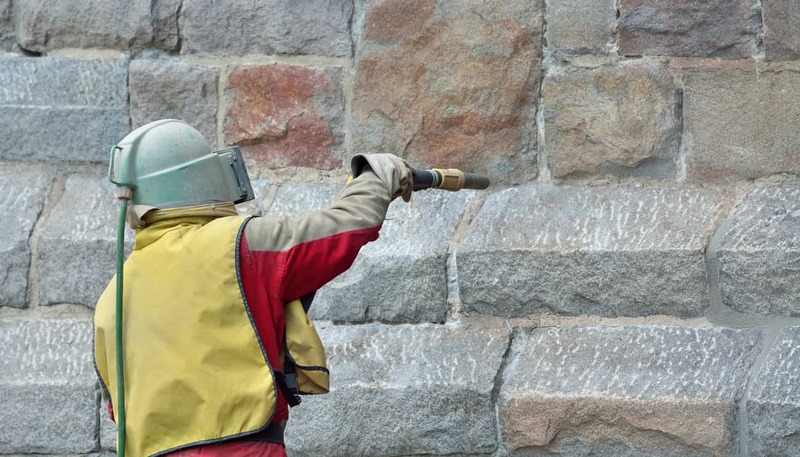 Dustless blasting is a futuristic paint and coat stripping system that will remove practically all sorts of the coating from any surface while emitting little to no dust. With this new technology you will hardly notice dust as we blast off the rust of your metallic surface. Outdated blasting practices were based on the principle of running an abrasive against a work piece not considering the after effects to the surrounding environment and personal health of those around or involved in the process. No longer! 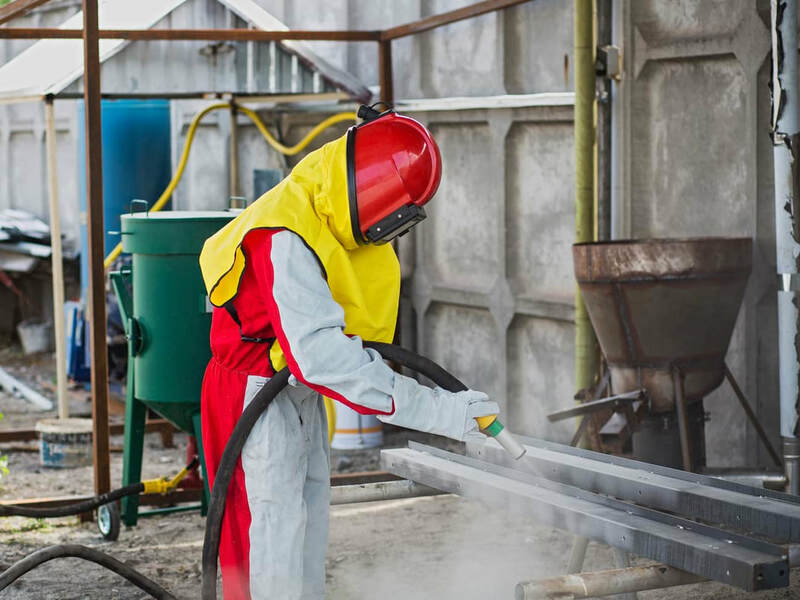 With new international laws and the science of Dustless blasting, you can now breath( quite literally) a sigh of relief knowing you and those around the project will be a lot safer as we clean your surface. ​The process involves the encapsulation of a particle of the original abrasive with a water jacket. Upon impact, with the surface of a work piece, the smaller particles are pulled to the earth by gravity and the weight of the water jacket reducing the release of dust particles by up to up 80 % . No dust! Most notable, is it's environmentally friendly and easy to contain nature. So if your planning to get rid off a thick coat in a people crowded area you will not go wrong with our dustless blasting service. A few hours of our environmentally friendly blasting and you have a clean surface. This method is more effective to clear surfaces as our water abrasive-combo produces a particle with a mass that has a greater force on it, able to clean thick coats very fast. This would otherwise take ages to get done. Whatever material your surface is made up of our Dustless blasting technology will not only clear the coat but also clean your surface. For example, if your metal surface was to initially get a rust strip we will also give you a clean shiny metallic surface as well. This is especially handy in case you want to get rid off a coat of soluble salt, with our technology you no longer have to watch your metal rust away. Just give us a call. 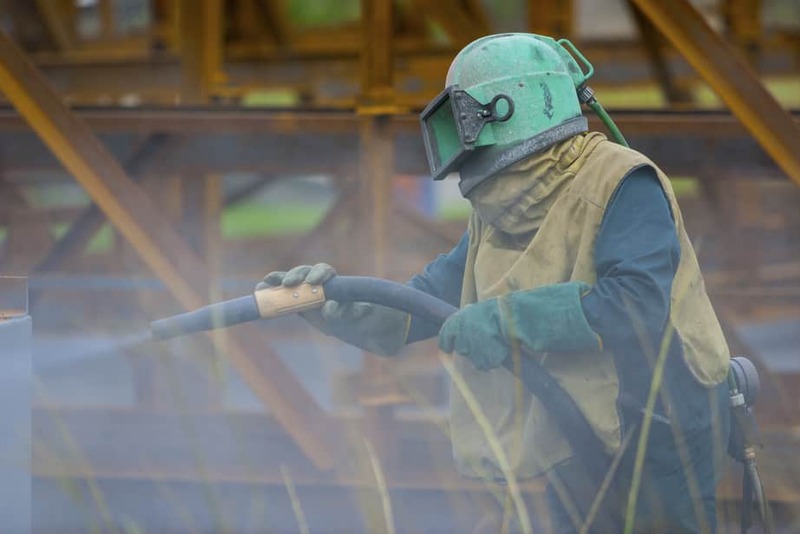 Dustless blasting will not cause wear and tear on your equipment. The water lubricates and reduces the heat caused by blasting. This means that only what you asked to be cleaned is removed. Regardless of what industry you are in always think Dustless blasting whenever you need a surface clean. Whether it's wood you want to be get rid of debris from, a concrete wall with old paint or a metallic one that has rust on our blasting technique will clear them all! Call us for Sandblasting Today! ​To experience this mind-blowing technology contact us for the best Dustless blasting experience your surface will need. Remember, you don't have to disrupt whatever else is going on with our plume free technique. You can as Well watch as we work on your surface. To give it a fresh new look with a light footprint on the environment that surrounds it.